In the year when the 50th Croatian Children's Film Festival takes place children areat the same time celebrating half a century of continuous presentations and evaluation of children's filmmaking in Croatia, although the beginnings of children's filmmaking in Croatia started in the early 50's of the last century. Children's film-making reached its peak in the 70s and 80s and from the end of 80s to post-war 1996 there was stagnation. 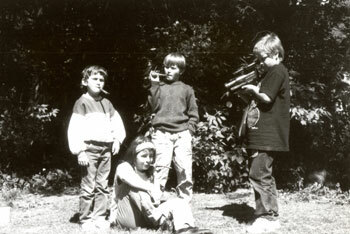 1996 was the year which markedthe renaissance of children cinema clubs. Important changes in children film-making occurredduring the last fifty years. 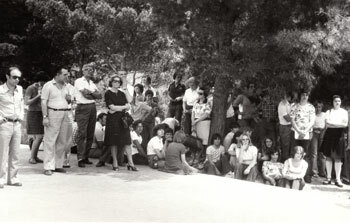 That was partly reflectedinthenameof the festival: Meeting of cinema-amateur pioneers (1962), CroatianChildren Amateur Film Festival (1971), CroatianChildren Amateur Film and Video Festival (1990), CroatianChildren and Youth Film Festival (1996). 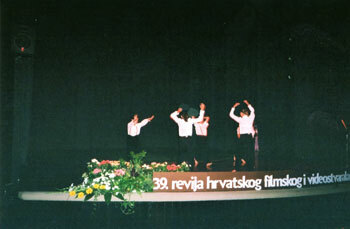 2005 was the year in which youth film festival was organized as a separate event, and children film-makingobtained the name of Croatian Children's Film Festival. Changes in the name of the festivalare less important due to their formal nature, and changes in the themes of children’s work are a reflection of sensibility of the young authors and their surroundings. There are more and more variety in genres, technological changes, generation shifts of cinema and video club mentors etc. Some of the chldren’s film topics could be called “old fashioned” because they talk about old crafts, heritage, customs, games, school everyday life, ecology. Those are the topics of children’s films in the 60s and 70s and are present even today. From the 90s onwards we have new topics such as addiction problems, violence among youth, empathy for disabled children, subcultures… The new generations observe reality in a critical or wondrous way and with humour more emphasised than the previous ones and at the same time they transform the reality into fiction showing a higher level of integration in the world of visual media. The media and the reality that surrounds them leave a remarkable trace in children’s films, but best works always have the freshness of children’s view of thinking the same as the ones decades ago regardless of the change of sphere of their theme interests. Their works are becoming more and more varied when it comes to genres. Feature and documentary films which used to be dominant are enriched with animated and experimental film, music videos, TV reports, and in the last few years animated film is getting more and more present on festivals. 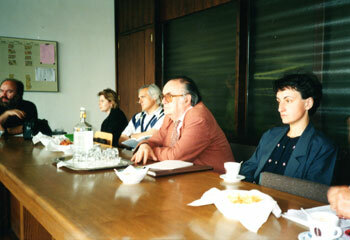 In the 90s few film clubs resolved to dedicate their work exclusively to animated film (Jasenovac, Čakovec, Kaštel Sućurac, Pag, Varaždin). There has been a complete mentorship and generation switch in film flubs in 1999. While writing about the generation switch at the 37th festival Vjekoslav Majcen reported that out of 26 film clubs only 4 have mentors with 10 or more years of work experience. In the last 13 years there has been a complete mentor generation shift. The true veteran among them is Edo Lukman who has organized School of Animated Film for 37 years. With fondness and respect we remember mentors who have made a major contribution to children's filmmaking and are no longer among us: Mirko Lauš, Zdenka Sabljić, Josip Kovačević,Milivoj Labudićand film critics and historians of children's filmmaking –Mato Kukuljica and Vjekoslav Majcen, whose contribution in promoting children's filmmaking is truly significant. Stjepko Težak is not among us. 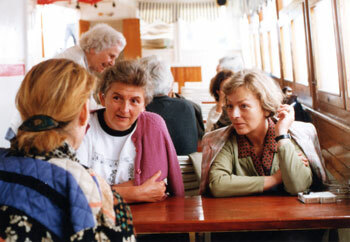 He was our most important film educator and the good spirit of the festival until 2006. During and after the war many children clubs stopped working, such the ones in Pag, Makarska, Knin, Kaštel Sućurac, Jasenovac, but simultaneously new clubs appeared in Osijek, Šibenik, Sesvete, Kutina, Zadar, Gunja, Slavonski Brod, Zagreb (some elementary schools) so today in Croatian Film Clubs’ Association there are 196 children film clubs and groups and 56 clubs with 194 films submitted their works to this year’s edition of the festival. With the mentors’ generation shift we monitor technological changes. Not one film was submitted on film roll at the 40th festival. In the last 10 years clubs exclusively use electronic technology. Computer technology is more and more present in making films and it requires a different structure of mentors’and children’s knowledge than was the case in traditional film groups. Along with all these changes related to children's filmmaking there is one constant - the education of mentors of children's clubs and associations, which has been continuously organized by the Croatian Film Clubs’ Association (i.e. Croatian Cinema Association). With film events (festivals, FEDAF) accompanied by thematic studies, as a permanent form of education we have numerous valuable filmmaking workshops and the Film School (Trakošćan, Šibenik, Crikvenica),since 1999 School of Media Culture (since 2008 Dr. Ante Peterlić School of Media Culture). Thanks to these forms of education today we have new generationsof mentors of children's cinema clubs and associations, which have contributed not only to the popularization of children's filmmaking, but through continuing education their clubs followed the technological, pedagogical and methodological innovation, taking into account that child's creativity should not be stifled by "mentors’ guidance". The issue of "guidance" of children's creativity was hotly debated upon at the "round tables", which usually accompany the festival. Modern head of children's filmmaking should not ignore the basic psychological and physical characteristics of the child if he/she wants children's creativity to be an expression of a child's sensibility, his thoughtfulness and imagination. The role of the leader is to encourage and respect child's desire to express itself in order to get children's imagination started in a creative way. Children explore, discover and learn. In an atmosphere free of coercion, without imposing ideas, just encouraging, in a climate of educationally thought throughmentorship, the child reacts as a resonator and becomes creative. Other skills are acquired, knowledge as well, but originality and imagination cannot be learned. We should not, nor can redefine creativity of young people bynew technologies because some of the criteria by which we recognize creativity remained unchanged regardless of changes in aesthetic sensibilities of contemporary young generations. So the creativity of young people continues to be recognized through sensitivity for the issues, skills for receptivity of impressions and ideas, mobility in response to external stimuli, originality, the ability to transform, capacity for analysis and synthesis ... Contemporary pedagogy also warns: Do not stifle child's creativity. Youth media education is a significant segment of aesthetic education, and is realized in inevitable correlation with literary, artistic and musical education, writing and speaking culture, with its IT and technology education. It is achieved primarily through educational work, extracurricular activities and self-education. Modern aesthetic education that does not include media education is today unimaginable. It is therefore very important that school programs monitor innovations that are happening in the world of media, that the programs are modernizedin shorter periods and that school, club equipment is modernized and there is ongoing training for teachers and mentors of film / video groups. Because the purpose of media education is to enable young people to critically observe messages from the screen, to develop their aesthetic sensitivity - to educate selective viewers to develop a system of criteria that underpins their reception of media messages through years. Therefore, annual festivals of children's film creation are not only events - festivals of yearly production of children's clubs and associations, but much more than that. Expert panel / committee that always accompanieschildren's creativity selects the entries for the festival, explains, rewards the best, and it has primarily a motivational role for young authors and their mentors. In order tofinish that primary task of jury, it is essential for the evaluation of young works to maintain criteria uniformity (approach) because significant changes in the valuation can be confusing to young authors and even discourage them. In the evaluation of children's works aesthetic criteria can not be omitted, but also the age of the children, the authenticity of children's works, as well as innovation and originality in the received works should be taken into account. Several years ago a new feature in the evaluation of children's works was added to the traditional jury - a parallel children's jury. The criteria applied by the children’s jury arereasonably different from the criteria of an expert jury, but their judgments are based only on the appeal of the works of their peers. This is evidenced by their list of proposals for awards, which often coincide with a list of the professional jury, which is proof of their degree of media culture. 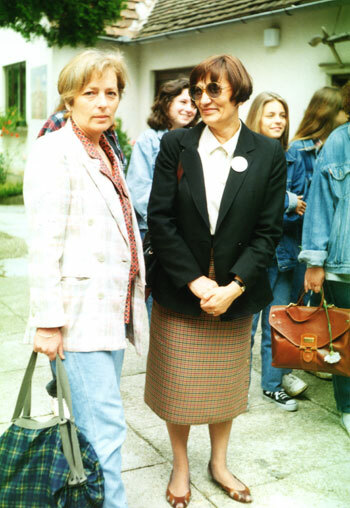 For all the events of children film-making – festivals, FEDAF (Pitomača, 1971- 1988) appearances onDecima Musa, CFA was in charge in the organizational and financial sense, contributing to promotion of Croatian children film works at home and abroad.It has been one of the important tasks of the festival in the last fifty years, with all the changes that accompany the events, usually in terms of organization, but always with the intention that the quality of children's film / video creation from year to year improves in line with changes occurring in the field of media. Unfortunately, it is impossible to include great children's works from all the clubs that have been shown at the past festivals into the retrospective of children's works during the last fifty years - the duration of the festival limits us. Retrospective of children's works fifty years back should be considered by taking into account the time and space in which the work emerged.